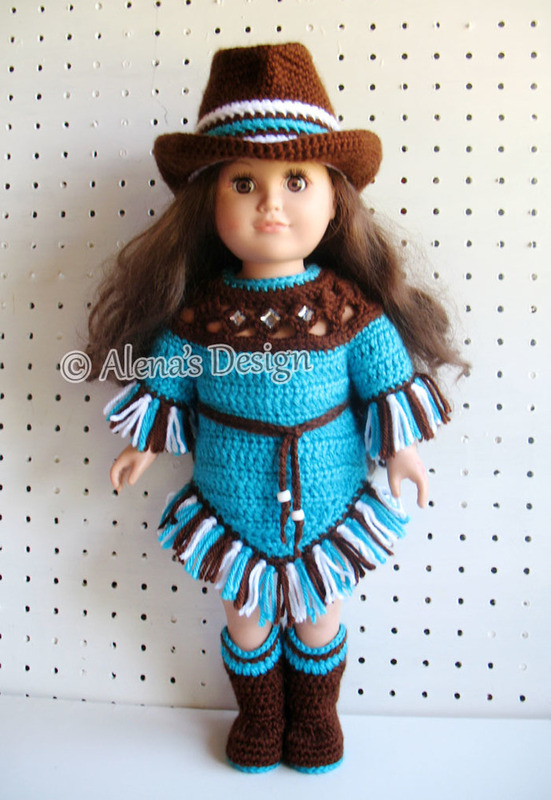 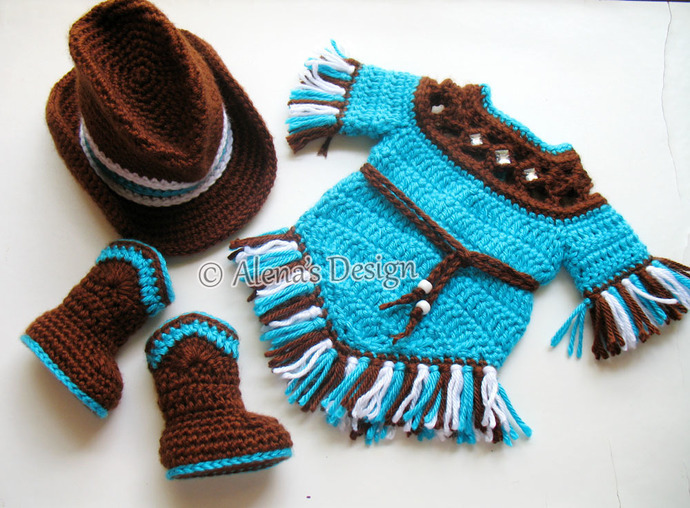 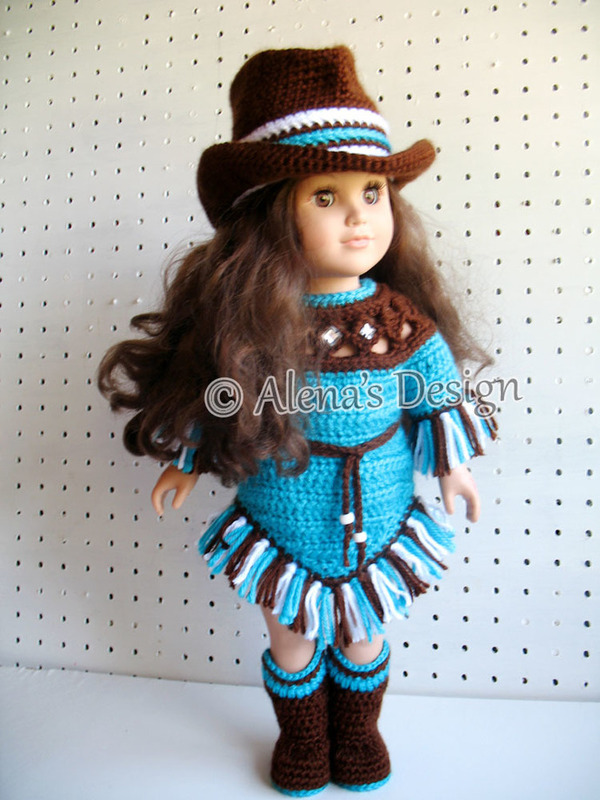 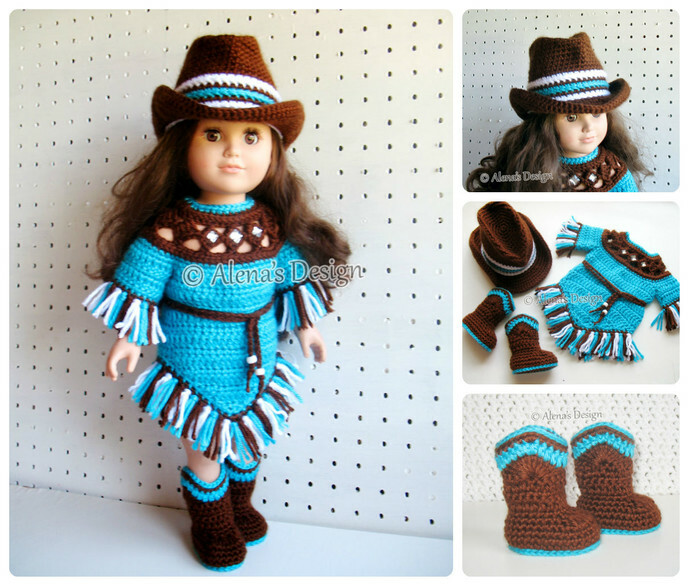 * This pattern set is to make a Boots, Cowgirl Hat and Fringe Dress for American Doll or similar 18 inch doll. 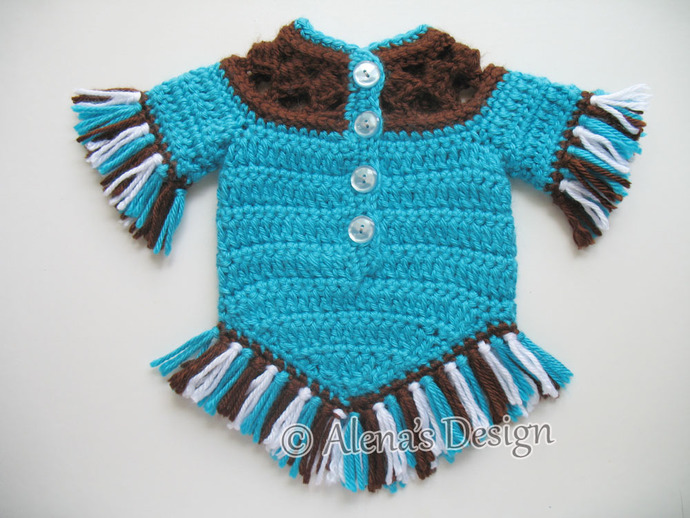 Four buttons – approx. 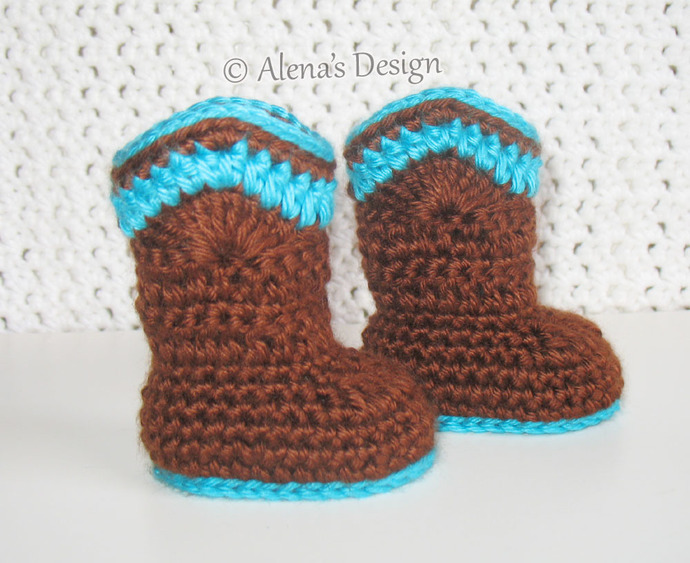 5/8” (16 mm). 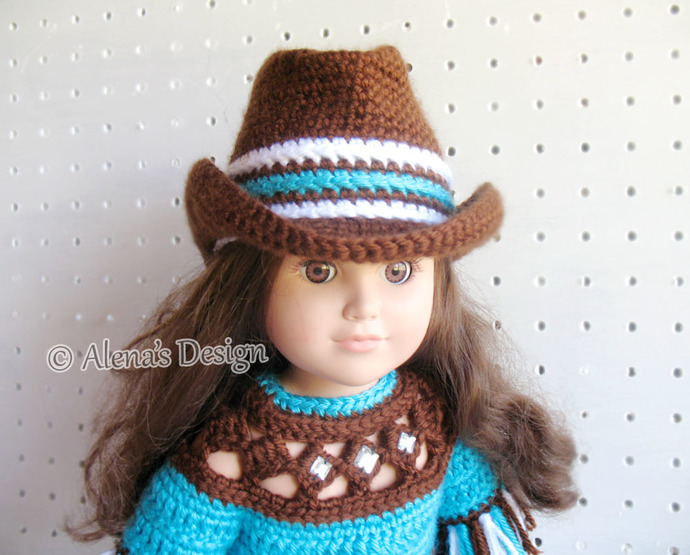 Three Crystal Clear Squares Sew-on Rhinestones (Optional).